Credo Mutwa is a living library of ancient African Culture and is also a high Zulu shaman. With his soft spoken tone and his articulate use of the English language you will instantly see the brilliance of this man. Credo talks about beings they call the Chitauri which we might call the Annunaki or in the bible they called the Nephilim. Essentially these reptilian based, sentient beings live here on earth and have been here for a very long time and were instrumental in guiding man in creating civilization, and possibly even genetically manipulating the evolutionary process of our species and continue to do so to this day. When Credo Mutwa talks about the Chitauri feeding on intense human emotion , especially that of fear , its starts to make sense why the social engineering is all geared towards fear based programs. The Chitauri of African culture certainly resonate with the over all concept of David Icke’s reptilian blood line research and how it all goes back to the bloodlines and the divine right to rule. Because of this very pivotal evidence from Credo that cultures all around the world have similar stories in their history, we can begin to see why Credo has become a popular guest for Alternative Media personalities. David Icke , Jeff Rense and Bill Ryan from project Camelot have all taken great interest in Credo Mutwa and his perspective on the Chitauri. Check out the books below by Credo Mutwa ! This may well be one of Credo Mutwa’s last interviews, here he says he has never seen so much evil in the world as he does today , and at the same time so much potential for good. Pretty much sums up the fertile ground we are crossing into. 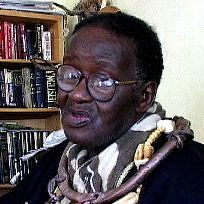 Here is an older video where Credo Mutwa talks about the coming world war 3, he describes pretty much what is actually happening as of Spring 2011.